Scroll down to see the top not-for-profit colleges and universities in Hawaii offering online degree programs. Hawaii Pacific University has online options for several of its undergraduate degrees, including business and history. Bachelor of Arts degrees are available online for students majoring in history, psychology, or international studies. Undergraduate business majors can earn a Bachelor of Science in Business Administration online with a choice of nine concentrations, including hospitality and tourism management, accounting, and management information systems. The HPU College of Business is nationally ranked and requires students to obtain real world experiences through internships and project-based learning. The online MBA program has seven available concentrations. It is a 33-credit program that requires a capstone project. The university offers hundreds of distance learning courses each year (600 for the school year 2015-2016 alone). Students can access these courses via cable, Interactive video or the Internet. There are 14 certificate programs, 3 associate of arts degree programs, 16 bachelor's degree programs, 4 graduate certificate programs and 14 master's degree programs. In addition, UH Manoa offers two doctoral degree programs (Nursing and Nursing Practice). Laulima, the Learning and Collaboration Server for the University of Hawaii Community, uses Sakai (version 2.9.3) as its course management system. The Office of Professional and Continuing Education at Chaminade University of Honolulu offers associate and bachelor's degree programs aimed at working adults who want to finish their degree through 100 percent online classwork. Chaminade has four associate degrees online and 11 bachelor's degrees. Four of those bachelor's degrees are in education and can lead to teacher licensure in Hawaii. Other bachelor's options include business administration, psychology, and English. Classes are offered in accelerated, 10-week terms, and students can enter the program at four times during the year: January, April, July, or October. Applicants to the online undergraduate programs must be high school graduates, and the college welcomes military personnel. Distance learning in Hawai‘i is dominated by the University of Hawaiʻi (UH) system, but that doesn’t mean your choices are few! In our short guide to choosing an online program in Hawai‘i , you’ll find details on affordable programs at all UH campuses (check out the opportunities at UH Mānoa) and info about out-of-state options. Hawai‘i has a serious problem with unaccredited universities, so we also recommend a quick look at our section on schools with accreditation & quality concerns. The University of Hawaiʻi (UH) offers a number of online degrees & certificates through its campuses and community colleges, and you can find details about all of them on the website for Distance Learning at the University of Hawaiʻi. This site also has a Self-Assessment Quiz to see if you are ready for distance learning, links to tuition & fee info for each school, and useful advice on how to get started. Online tutoring is available at most UH campuses. Hawai‘i is part of a number of student exchange programs through the Western Interstate Commission for Higher Education (WICHE). Programs like the Western Undergraduate Exchange (WUE) and Western Regional Graduate Program (WGRP) give Hawai‘i students the opportunity to pay reduced tuition rates for out-of-state programs. A lot of these programs are campus-based, but a few WUE institutions and WGRP institutions also offer online and hybrid degrees. If you have questions about whether an institution offers a WUE or WGRP rate for online degrees, WICHE recommends you call your choice of school and ask. UH Mānoa is Hawai‘i’s sole research university and it has plenty of online undergraduate and graduate degrees & certificates. The Office of the Registrar has details on tuition & fees and VA education benefits. UH employees & their spouses/domestic partners may be eligible for an employee tuition waiver of up to six credits per semester. But that’s not all! UH Mānoa’s Outreach College offers a number of college credit, Continuing Education (CE), and summer school courses, including distance learning programs (e.g. Online MA in Music Education). If you left UH Mānoa before your senior year, the Come Back to Mānoa (CBM) program can help you finish your first bachelor’s degree. Tuition for Outreach College courses is paid separately from regular school tuition. Hawai‘i is a playground of sketchy & unaccredited online universities, so please make sure your school is fully accredited by an organization recognized by the U.S. Department of Education (USDE). The Western Association of Schools and Colleges (WASC) Senior College and University Commission is the regional accrediting body for public and private higher education institutions in Hawai‘i. WASC’s Institutions Database has info on which Hawai‘i schools are regionally accredited. It also lists schools that have been Accredited on Probation, Accredited on Warning, or Accredited with Notice of Concern. WASC’s Accrediting Commission for Community and Junior Colleges, Western Association of Schools and Colleges (ACCJC) accredits community colleges and other associate degree-granting institutions. In its Actions on Institutions, the ACCJC reports on institutions that have been issued warnings or had probation imposed. Even easier, the Council for Higher Education Accreditation (CHEA) Database provides a full list of regional & national accreditations for every university in the country. Although national accreditation applies to distance learning institutions, regional accreditation is what most colleges & employers look for, especially if you’re planning to transfer online course credits. To help you avoid issues, we profile a number of online schools in Hawai‘i with accreditation and quality concerns below. ASU is not accredited by any accrediting agency recognized by the U.S. Department of Education, and it does not appear in College Scorecard or the CHEA Database. The school has a long history of controversy as a diploma mill. Akamai University is not regionally accredited by WASC or nationally accredited by any accrediting agency recognized by the U.S. Department of Education. It does not appear in College Scorecard or the CHEA Database. Akamai has international accreditation by the Accreditation Service for International Schools, Colleges and Universities (ASIC). However, ASIC has experienced its own serious accreditation controversies. AAU is not accredited by any accrediting agency recognized by the U.S. Department of Education, and it does not appear in College Scorecard or the CHEA Database. ACU is not accredited by any accrediting agency recognized by the U.S. Department of Education, and it does not appear in College Scorecard or the CHEA Database. Based in Honolulu, APU is not accredited by any accrediting agency recognized by the U.S. Department of Education, and it does not appear in College Scorecard or the CHEA Database. AUH does not appear in College Scorecard or the CHEA Database, and it has no accreditations that are recognized by the U.S. Department of Education. Like Akamai, AIU claims international accreditation by the Accreditation Service for International Schools, Colleges and Universities (ASIC), which has been involved in its own accreditation controversies. Argosy University is a system of for-profit colleges based in California and operated by its parent company, Education Management Corporation (EDMC). It is regionally accredited by WASC. However, there are no data available about the Honolulu campus’s graduation rate on College Scorecard, and the school has a low percentage of students paying down their debt after three years. In 2015, EDMC had to forgive nearly $103 million worth of student loan debt because it had violated consumer protection laws. It also had to pay $95.5 million to settle whistleblower lawsuits. AIU does not appear in College Scorecard or the CHEA Database, and it holds no recognized national or regional accreditations. Like Akamai and AUH, AIU has accreditation from the Accreditation Service for International Schools, Colleges and Universities (ASIC), which itself has been the subject of serious criticism. Based in Honolulu, Dorcas University is not accredited by any accrediting agency recognized by the U.S. Department of Education, and it does not appear in College Scorecard or the CHEA Database. GSU is not accredited by any accrediting agency recognized by the U.S. Department of Education, and it does not appear in College Scorecard or the CHEA Database. Its name was changed to Honolulu University (see below). Remington College is a for-proft school based in Florida. According to the CHEA Database, it is nationally accredited by the Accrediting Commission of Career Schools and Colleges (ACCSC), but it is not regionally accredited by WASC. In 2011, the New York Times reported that Remington College “was sold to a nonprofit with the owners lending it $136 million for the sale.” This move came under strong criticism in The Century Foundation’s 2015 report, The Covert For-Profit. University of Phoenix is a for-profit institution headquartered in Arizona. According to the CHEA Database, it is regionally accredited by the Higher Learning Commission (HLC), but it’s been the subject of a number of lawsuits over the years. College Scorecard reports that the Honolulu campus has a low graduation rate and a lower than average number of students paying down their debt within three years of graduation. YUIN University is not accredited by any accrediting agency recognized by the U.S. Department of Education, and it does not appear in College Scorecard or the CHEA Database. WASC Senior College and University Commission (WSCUC): WSCUC is the regional accrediting body for four‑year institutions in California. 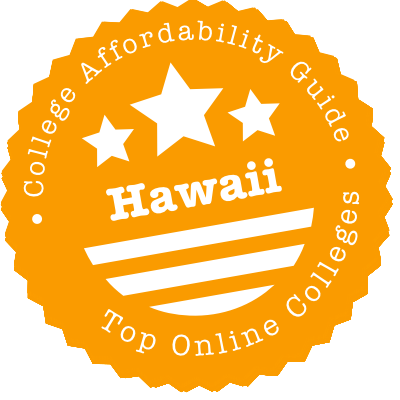 Use its website to search for accredited universities and colleges in Hawai‘i. WASC Accrediting Commission for Community and Junior Colleges, Western Association of Schools and Colleges (ACCJC): Search ACCCJC’s Directory of Accredited Institutions to find out whether your Hawai‘i community college or associate degree-granting institution has regional accreditation. Distance Course Design & Consulting (DCDC): Based in the College of Education at the University of Hawai‘i, DCDC is a consulting group that designs instructional and digital content for online courses. We mention it because its partners include both UH and external entities, which means you’ll see its impact in UH programs. E-School: E-School is an online school run by the Hawai‘i Department of Education (HIDOE). It offers standards-based, online courses to students enrolled in any HIDOE public school, including charter schools. These courses (primarily high school level) are intended to supplement regular classroom work. Online Learning Academy (OLA): Sponsored by the University of Hawaiʻi, OLA provides free online tutoring in math and science to all HIDOE students (state-wide). UH Mānoa and community college students can also take advantage of the service. Distance Learning at the University of Hawaiʻi: Search UH’s database to find online degrees & certificates offered throughout UH campuses and community colleges.